If you have been very observant of my posts for Crazy January you may have noticed I have missed Day 13. I have decided that day didn't exist because I forgot to do a new start that day. 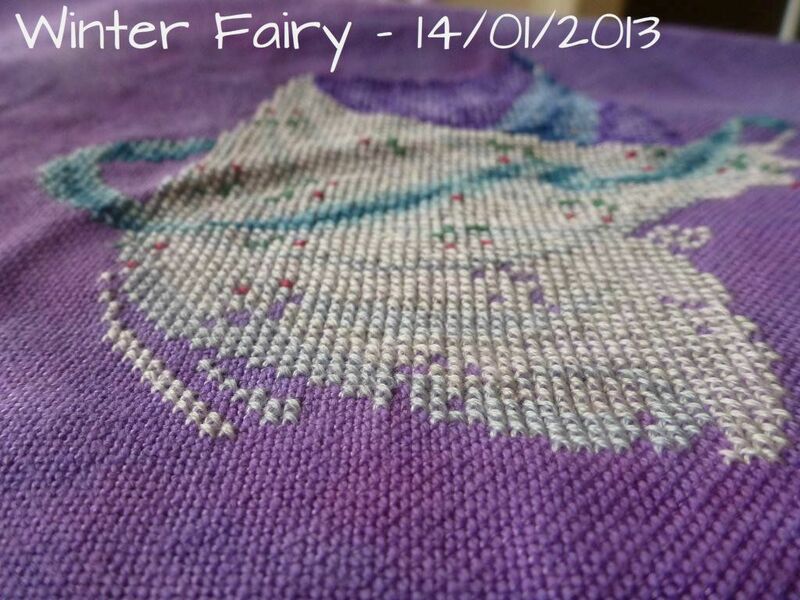 I did do some cross stitching and I now have an update on Winter Fairy by Joan Elliott. Now although I didn't start a cross stitch project do you think it counts that I started a new knitted toy? It will end up being a duckling, that is it's body there. It will be very psychedelic but I couldn't resist trying out this yarn. Now to the whole point of this post I do have a Day 14 start. It's a hedgehog keyring that I bought ages ago and I finally decided to start it to have a break from Christmas ornaments. Actually I've had lots of breaks from Christmas ornaments the last two days. Great new start and progess. And yes, I think starting a new knitting project can be counted as part of the challenge. 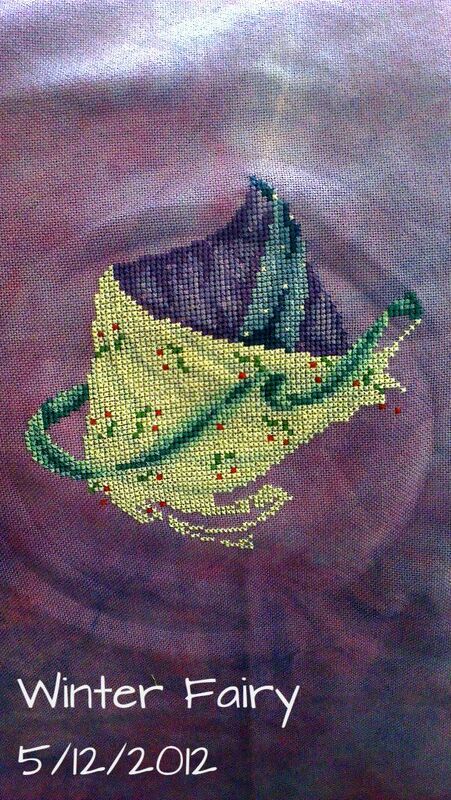 I love the yarn color. Can't wait to see it. 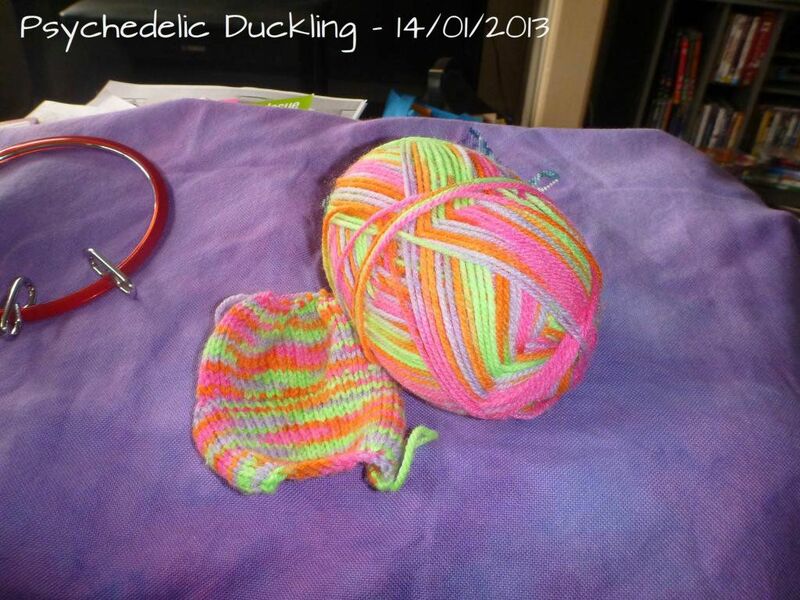 Of course the crocheted Duckling counts as a new start! 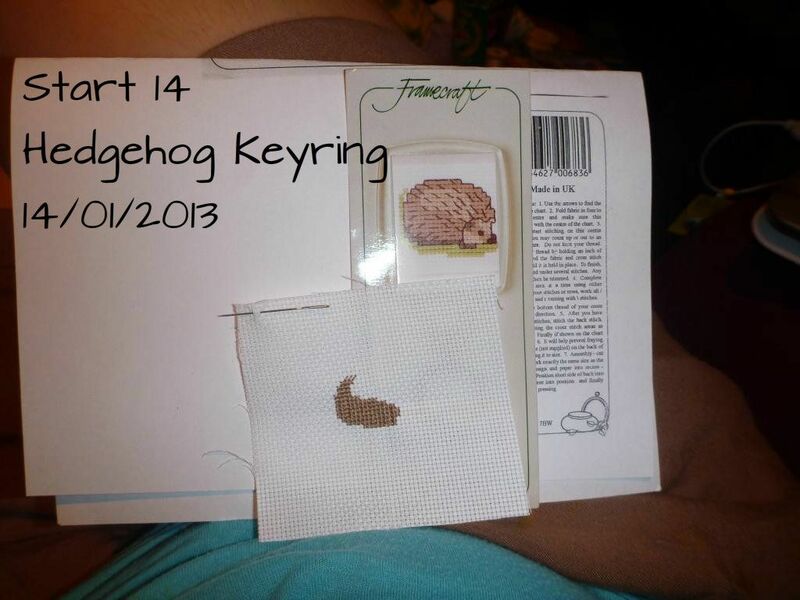 The hedgehog keyring will be so cute! 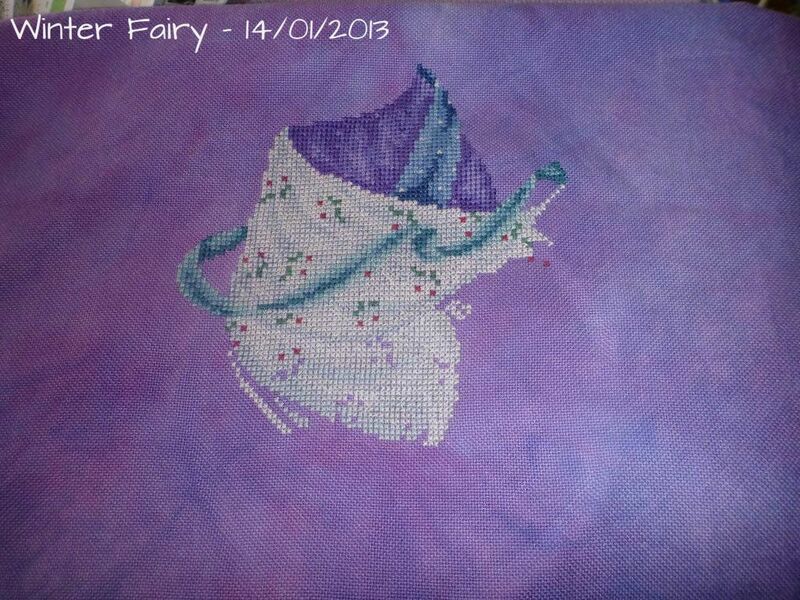 You've made great progress on Winter Fairy!